GEORGETOWN, DE – The curtain will come down on the 2018 season Friday-Saturday October 26-27 with two huge days of racing at Georgetown Speedway. 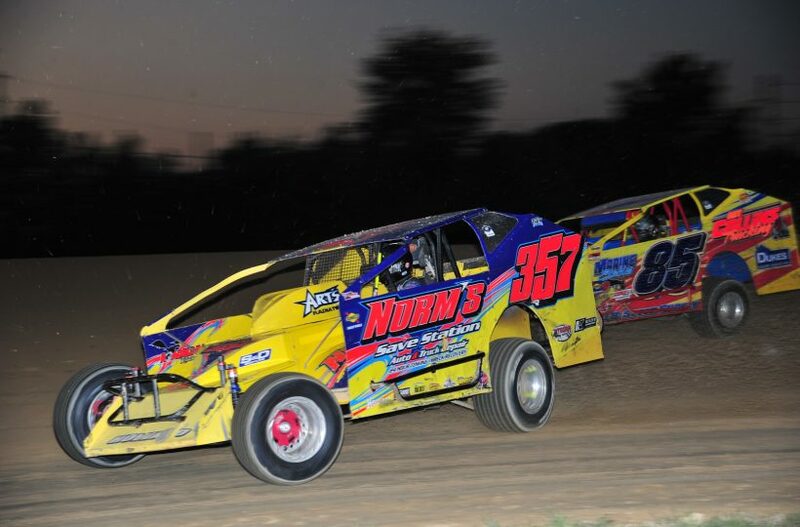 The third annual Mid-Atlantic Championship weekend features a plethora of auto racing on the Sussex County half-mile oval. Over the two days, the Bob Hilbert Sportswear Short Track Super Series (STSS) Fueled By Sunoco big-block/small-block Modifieds, Super Late Models, Small-Block Modifieds, STSS Crate 602 Sportsman, RUSH Late Models, Mid-Atlantic Sprint Series, Southern Delaware Vintage Stock Cars, Little Lincolns, Delaware Super Trucks and Delmarva Chargers will all be in competition. On Friday night (Oct. 26), complete programs will be run for the Small-Block Modifieds (30 laps, $3,000 to win), RUSH Late Models (20 laps, $1,000 to win), Little Lincolns (12 laps), Delmarva Chargers (12 laps) and Delaware Super Trucks (12 laps). Hot laps and heat races for the STSS Modifieds and hot laps, time trials and heat races for the Super Late Models are also on the Friday agenda. Friday pit gates open at 4 p.m. Grandstand gates are unlocked at 5 p.m. Hot laps hit the track at 6:20 p.m. Racing begins at 7:15 p.m.
Friday Adult grandstand admission is $25. Seniors (ages 65-plus) and Students (ages 13-17) pay $20. Kids (9-12) pay $10. Children 8 and under are FREE. Friday pit admission is $35, with no license required, for ages 13 and up. Kids 6-12 pay $10. Ages 5 and under pay $2. Super Late Models and STSS Modifieds compete in 40-lap main events paying $5,000 to win on Saturday after their consolation events. The $10,000 STSS Modified Velocita-USA South Region champion will be crowned following the division’s 40-lap feature on Saturday. STSS Crate 602 Sportsman will take part in their fifth and final round of the South Region with a 20-lap, $1,000-to-win main event. Afterward, the series champion will be lauded. Also on the Saturday docket: MASS 305 Sprint Cars (20 laps), Southern Delaware Vintage Stock Cars (12 laps), Delaware Super Trucks (12 laps) and Delmarva Chargers (12 laps). Saturday Adult grandstand admission is $25. Seniors (ages 65-plus) and Students (ages 13-17) pay $20. Kids (9-12) pay $10. Children 8 and under are FREE. Saturday gates open at 2 p.m. Pit gates are unlocked at 3 p.m. Hot laps begin at 5 p.m., with racing at 6 p.m.
Saturday pit admission is $35, with no license required, for ages 13 and up. Kids 6-12 pay $10. Ages 5 and under pay $2. Two-day passes are available for the grandstand area as follows: Adult: $40 – Senior/Student: $30 – Kid: $15. A weekend pit pass is $60 for Adults.